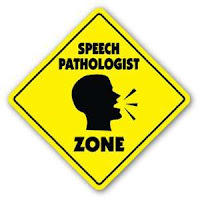 My name is Amanda, and I want to tell you about a Career Day coming up on Feb. 27, being hosted by the Department of Speech-Language Hearing Sciences. This is a great opportunity to learn what our department has to offer. One of our professors, Dr. Milstein will be there to discuss a lot of what these careers are all about, and different environments that these professionals may work in. It is a great opportunity to find out information about the major, ask questions, and learn about undergraduate student organization NSSLHA. During this time, you will even have to opportunity to take a tour of our on-campus clinic, The Saltzman Center where Speech and Audiology services are offered. As a senior finishing up my studies of Speech-Language Hearing Sciences, I can honestly say that deciding to pursue a career in the field of communication sciences has been one of the best decisions I have made during my four years at Hofstra. Choosing a major can definitely be daunting, and when I first heard about Speech-Language Pathology and Audiology, I had no idea what these professions were. However, after learning more about the major and taking a couple intro classes, I was hooked. I found one of the most appealing aspects of this field to be the potential to work one-on-one with people, to substantially improve a person’s ability to communicate, whether it is through speech therapy or audiologic rehabilitation. Getting involved with NSSLHA has also enhanced my experience. I have enjoyed getting to know and become friends with people who have similar interests and career goals. Throughout the years I become more and more involved. Now as President, I am happy to continue creating opportunities for students in our department to get involved, get to know each other, and have more opportunities to get immersed in this field. I hope to see all of you who are interested in finding out more about an awesome major that can lead to a rewarding career on 2/27 in BROWER 202 during common hour!